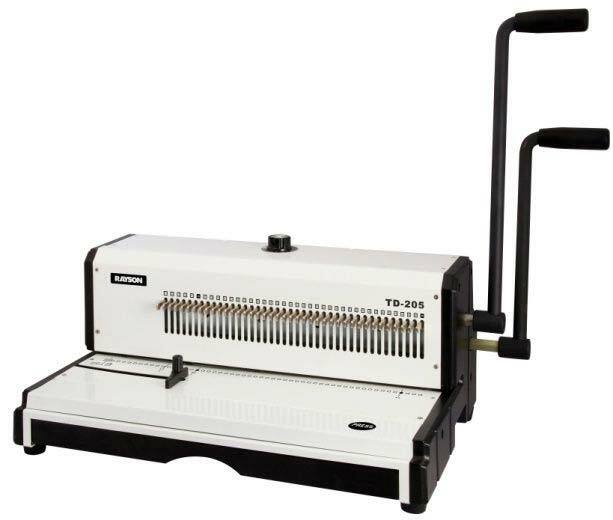 We are a preeminent Manufacturer, Supplier and Exporter of Wire Binder (TD-205). The Wire Binders we make available manufactured using quality approved components and the latest technology. It comes with 40 free blades. Courtesy our brilliant logistics network, we are capable of delivering bulk orders of the Binder within the promised timeframe. Buyers can obtain the Binders at affordable rates from us.